Australian landscapes are the product of 80 million years of evolution of the land and its flora and fauna since separation of the current land mass from Gondwana and its drift to the north, and of at least 60,000 years of Indigenous habitation and use followed by more than 200 years of European influence and occupation as well (Lennon et al., 2001: 14-15). Aboriginal people had survived by ‘caring for country’, firing a mosaic of small areas to ensure food resources, clearing pathways, signalling, ceremonial activities and marking boundaries (Gammage, 2011). Aborigines also gave the landscape its creation stories and peopled it with heroic ancestors; and they created non-architectural but spectacular evidence of their culture in rock art, occupation sites, and sacred landscapes. They made the whole of Australia a cultural landscape. Uluru-Kata Tjuta National Park is one of the continent’s iconic landscapes. It was first designated Ayers Rock-Mt Olga as an international biosphere reserve in 1977 and was listed as World Heritage for its natural heritage values in 1987. In 1994 with great national publicity, the site was re-inscribed as Uluru-Kata Tjuta a cultural landscape on the World Heritage List. This has changed the popular view of Uluru from the ‘big rock in the Centre’ to a place honouring the traditional belief systems of the nation’s original owners. Today the park, covering about 1,325km2, contains outstanding examples of rare desert flora and fauna as well as the major geological features of Uluru (a sandstone monolith some 9.4km in circumference and rising 314m above the plain) and Kata Tjuta (36 rock domes rising about 500m above the plain). But for the Nguraritja, the traditional owners of the park, there was a time when ancestral beings in the form of humans, animals and plants travelled widely across the land performing remarkable feats of creation and destruction. The journeys of these beings are celebrated and the record of their activities exists today in the landscape. The Nguraritja have primary responsibility for maintaining these values by caring for the land using traditional methods. There have been 6 management plans since 1982, when the first plan promulgated for the park gave priority to biodiversity and environmental protection in a “classical” Australian protected area plan based on bio-centric international models. This phase of park management protected cultural heritage as a few relatively small sites containing artifacts (such as rock paintings) dotted within a “sea” of traditional national park management concerns. After the park was handed back to the traditional owners and the Uluru-Kata Tjuta Board of Management was established, the priority given to cultural heritage increased substantially. The second management plan, which was prepared in 1986 after the park had been nominated for World Heritage listing for its natural values, clearly articulated the enormous cultural importance to Aboriginal peoples of the landscapes within the park, as well as identifying more traditional national park values and programmes. The third management plan, completed in 1991, while superficially structured like any other protected area management plan, it contained a major new section [2: Tjukurpa (law) as a guide to management (pp.11–26)] – a renewed explicit priority for cultural heritage that was expressly designed to underpin all other management. At about the same time, the park was also re-nominated for World Heritage listing under the cultural landscape criteria in addition to its already recognized natural values. In 1994, Uluru-Kata Tjuta became the second cultural landscape on the World Heritage List.This honour provided international recognition of Tjukurpa as a major religious philosophy linking the Nguraritja traditional owners to their environment and as a tool for caring for country while asserting their role as custodians of their lands. In addition, they requested that the lands of the Park were referred to by their traditional names Uluru and Kata Tjuta, rather than the names given by nineteenth century European explorers. The expansion of values by the World Heritage listing enabled a change in priorities at park level – reflected in acknowledgement of the place as a cultural landscape which is fundamental to the success of the joint management arrangement. This 2000 plan details how traditional owners and the Australian government work as partners by combining Nguraritja natural and cultural management skills with conventional park practices (Uluru-Kata Tjuta Board of Management and Parks Australia, 2000: 8–9). For example, Aboriginal people learned how to patch burn the country from the Tjukurpa of lungkata, the blue tongue lizard. Although different methods are now used, the practice of lighting small fires close together during the cool season continues to leave a mosaic of burnt and unburnt areas. This traditional knowledge and practice have been adopted as a major ecological management tool in the park. Tjukurpa also teaches about the care of rock holes and other water sources (Environment Australia, 1999:22). This 2000 plan is the first to recognise the primacy of cultural practice in land management by the traditional owners and the bilingual presentation of the plan highlights the fundamental concern of ensuring joint management. (Lennon, 2000:47). The 2001 Cultural Heritage Action Plan and Cultural Landscape Conservation Plan, which operates under the 2000 Plan of Management, provides a more detailed operational guide for conservation of the cultural values of specific sites, storylines, story places, including sacred sites, birthplaces, rock art, camping places, rockholes and places important in the recent Nguraritja and Piranpa (“white fella”) history of the area. It requires both physical conservation actions and attention to the maintenance of cultural heritage values that enliven it. This will be achieved through training of young Nguraritja, involvement of traditional owners who live outside the park, keeping the stories about places strong, providing privacy for ceremonies, explaining cultural restrictions to visitors, and recording oral history connected to people’s early experiences in the park including the struggle to win back their land. In addition to this park-wide cultural landscape plan, there are plans which require actions for managing visitor use as well as vegetation, fire, rock art, and restoration of trampled areas and the waterhole. The Aboriginal traditional owners of Uluru-Kata Tjuta National Park have looked after, and in turn been looked after by, the land for over one thousand generations. The 2010 plan runs until 2020. The evolution and current practice of planning and management at Uluru-Kata Tjuta illustrates how cultural heritage has gained primacy in land management and it is an exciting example of traditional owners reclaiming their ways of living in the land, referred to as ‘keeping country straight’. It also represents reconciliation between Europeans whose practices often damaged the land and the Nguraritja whose traditional methods can restore the land to a new ecological balance. It is symbolic of what needs to be done throughout much of rangeland Australia. 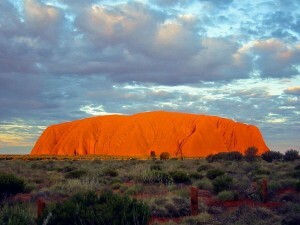 Despite the recognition and the adoption of the concept of cultural landscapes in Australia, better management of the cultural values in natural areas has not resulted, except for some Indigenous managed areas of which Uluru, recognised as having universal associative cultural values, is the international show case. In other parks relict features like pastoral huts, shearing sheds or mining infrastructure are managed either as ruins, interpretive features or for visitor accommodation. Uluru is an icon of Indigenous management of the landscape over millennia with intangible heritage as the driving force for current management – keeping country ‘straight’ by assisting people living in or having connections to that country to incorporate their beliefs and practices into current landscape management. Park services in all States have now employed Indigenous staff and acknowledge the traditional owners and their life ways. Jane Lennon is a founding member of Australia ICOMOS, a former ICCROM council member and Australian Heritage Councillor. She is an expert member of the ICOMOS/IFLA Cultural Landscape Committee She holds a PhD from Deakin University and she is currently an honorary professor at the University of Melbourne. She is a frequent contributor to the Living Landscape Observer. This article is based on a portion of her recent keynote speech at the University of Massachusetts Amherst.